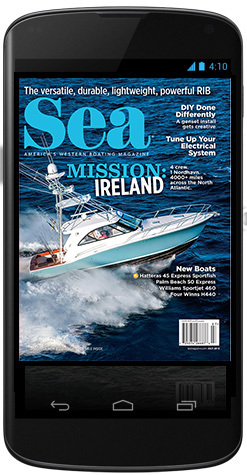 The luxury builder delivers more of the unexpected with a 90-footer whose appearance doesn't fit the OA mold. Ocean Alexander is at it again. And by “at it,” we mean it’s doing the unexpected. 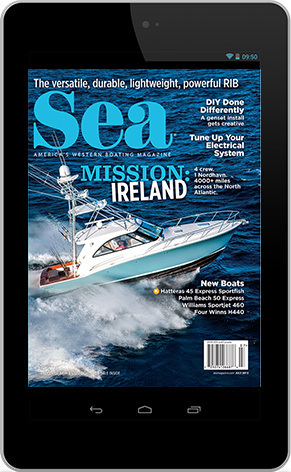 In 2016, the builder introduced the 70e, which utilizes pod-drive propulsion and is manufactured at OA’s Florida boatbuilding facility. Quite the shift for a fairly traditional Taiwan-based builder. Now comes the OA 90r, which uses a shaft-drive system and is built in Taiwan, but it looks nothing like any other yacht Ocean Alexander has built. 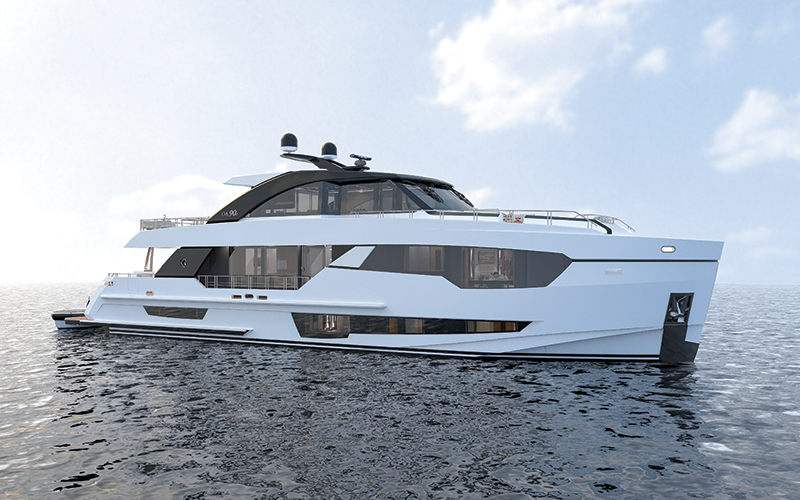 Designed in conjunction with frequent collaborator Evan K. Marshall, the 90r is going to cause second and third looks, as observers ask, “That’s an Ocean Alexander?” The visual differences begin with a nearly plumb bow that opens up more room on the accommodations deck. 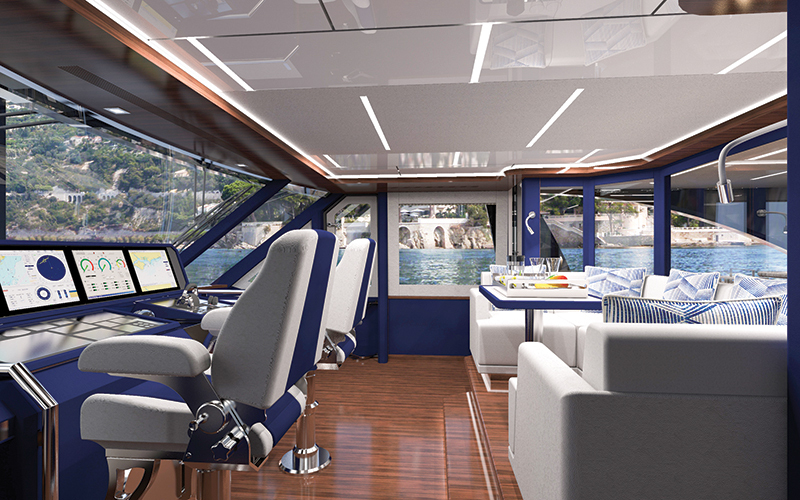 Moving aft, the side windows for the on-deck master run virtually floor to ceiling, creating a striking look, and aft of those windows are the salon windows, which are floor to ceiling. Outside the salon windows to both sides, the bulwarks are replaced by stainless steel fencing, so outside observers can see the full effect of the windows and passengers inside can enjoy the full view outward. The 90r comes in open flybridge and closed skylounge versions, giving buyers a choice of how much interior vs. exterior space they want. 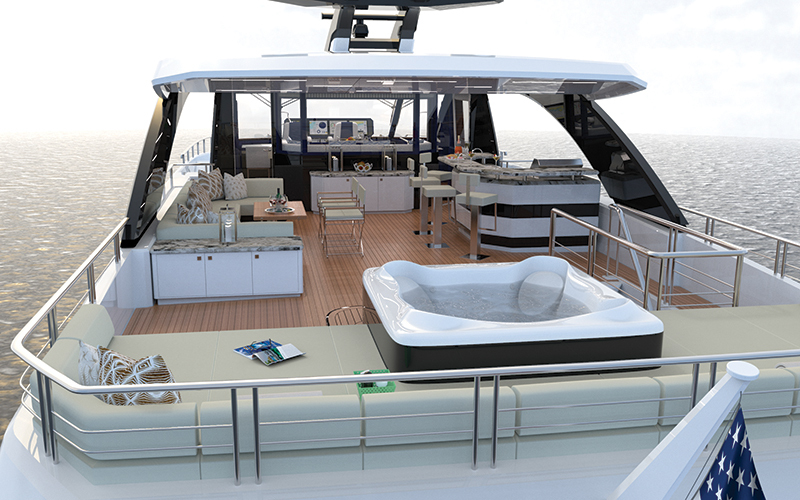 Both versions include an enclosed pilothouse, a wet bar and a large outdoor social space aft (the Flybridge version gets a Jacuzzi). 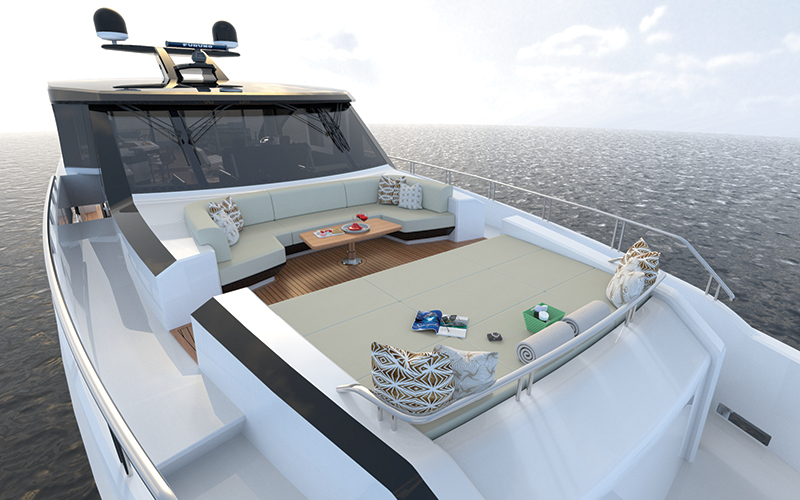 The Skylounge version has sliding doors to enclose the space, but they slide wide open to create a deck that’s open from pilothouse to aft settee. On the high bow — it’s elevated to create headroom for the master — is a sun lounge big enough for three or four people and a C-shaped settee around a table. It’s a solid social space that offers expansive views, but perhaps the highlight of the yacht — quite a distinction on a yacht with plenty of owner-pleasing features — is the beach club at the stern. 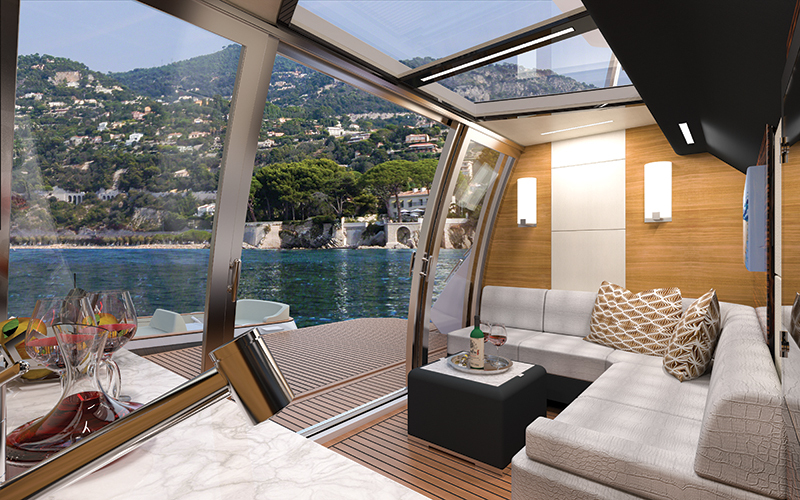 Built into the space where some yachts might have a tender garage or a large lazarette is a salon-like room whose glass aft wall includes two sliding doors that open the space to the air and water. An L-settee and ottoman-sized table offer seating, and a console to starboard houses a sink and a refrigerator. As an added bonus, the ceiling of the space is glass, adding to the indoor/ outdoor effect. The large power swim platform can house a tender. Belowdecks can be outfitted with three or four staterooms, with a second master being an option. On the main deck, the salon, dining area and galley are seamlessly integrated, though panels allow the galley to be closed off when called for. Hull #1 is expected to be complete in November of this year. Draft 5 ft., 10.5 in. 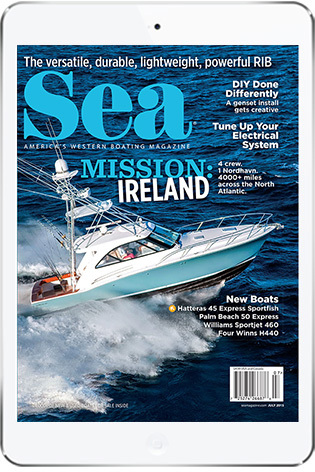 This entry was posted in Snapshot and tagged Ocean Alexander, luxury yacht, evan k. marshall, alexander marine by Stephanie Shibata. Bookmark the permalink. Not sure if it is beautifull or ugly. 200,000 pounds! !